So, yesterday, my sister. Mi Madre, and I went to the mall to pick up a few necessities for the house. We stopped in to see my brother who works in the retail world. The store where he works caters to a very specific clientele; the very cool and those who want to be very cool! When we walked in, I believe the median age doubled. LOL The place was hoppin’ with customers and stressed sales associates. It reminded me why I don’t work in retail. We found a cozy little area by the coats and watched little bro in ‘worker mode’. He looked pretty damn awesome, helping people, wearing his ‘cool kid’ clothes, and being followed around by all the girl customers. While standing there, Mi Madre hands me the most incredible looking coat. It was a step right out of 1958 and looked like Doris Day may have just set it down, waiting for me to pick up and try on. After I tried it on, I asked to look at the price tag. *GASP* -- 50% off!!! It was my lucky day! Then I saw the wall of hats/beanies. I saw one that had to be mine. On principal (and also because my head is perfectly round) I am not a hat person. But, the coat needed a hat . 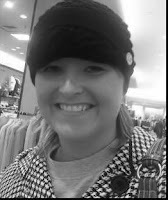 . . and when I saw this perfect ROXY beanie just hanging there on the wall, I had no choice but to try it on. Then, when little bro said, “Hats are 50% off too” I was sold. Still, a bargain does not guarantee a good look, so I called a family meeting right there in the store and demanded honesty. All 3 gave my new look a thumbs up. I went and looked in a mirror and may (or may not have) caught a glance from some cute sk8r boi! After I made my purchases, I asked my brother for some last minute advice on the hat. First, I verified that I can wear it indoors and not look like a dork. He confirmed this! Second, I made sure I was wearing it right. He suggested I turn it a little to the right, altering the coolness factor of the hat by vast amounts. I had a new zest for life in my new ensemble. Unfortunately, as with most things, a book should not be judged by its cover. A dork is still a dork, no matter what they are wearing. As I walked down the mall, when I would see people wearing beanies I waited for some sort of acknowledgement, such as eye contact or the ever-affirming “head nod”. I mean, I was a part of their club now. I was sure, absolutely positive in fact, that my new look would transcend social boundaries. But, no one gave me a nod. Not one beanie wearing cool-kid. In fact, not even the beanie wearing toddlers wheeling by in their strollers acknowledged my hat. Where is the camaraderie? I mentioned this to my sister, who being the sweetheart she is, acted surprised that more people were not nodding at me. Later, when we had a lunch break with my brother, I mentioned it to him as well. He also acted surprised, though I swear he and my sister shared a look of “really? Just humour her.” I gave up on the mall-faring beanie wearers. Though, later that evening, when my sister’s friends came over to help us move furniture, one walked in wearing a beanie, and I gave him the head nod, figuring if I acknowledged first, he’d realize that I AM actually part of the club. Yeah, that didn’t work. He most likely thinks I have some sort of nervous disorder which makes me nod my head. No worries though! I am still wearing the beanie and will continue to do so until someone gives the head-nod! PERSONAL NOTE: Thank you for being the best book smuggler ever! CONFIDENTIAL NOTE: I did as you asked. Even used it in context! Ha!